⇒ Third visit of Afghan President Hamid Karzai to India in just one year marks the importance of India to Afghanistan. ⇒ But India is at risk of wasting opportunities to build on what has been one of its greatest diplomatic successes in the past decade. ⇒ Today, India is in a strong position to shape each of these factors to its advantage, but its policies are marked by indecision and confusion. WHAT IS INDIA WORRIED ABOUT ? ⇒ Thought India favours that Western forces in Afghanistan should leave the country, It is equally worried on that part that these western forces are moving out of Afghanistan too quickly. ⇒ India has also pointed out that the Afghan National Security Forces (ANSF) have been left ill-equipped to fight insurgent and terrorist threats that remain active in the Afghanistan-Pakistan border areas. ⇒ This agreement is going to be signed between the USA along with its NATO countries & Afghanistan. ⇒ Under this deal USA & the NATO countries will provide financial assistance of over 4 billion USD (USA dollars) to train and equip Afghan Security forces after 2014. It is the largest single military assistance. ⇒ USA is also going to give Afghanistan non-NATO ally status under BSA. Afghanistan will be the first country to receive such status. ⇒ Non-NATO ally status will give Afghanistan access to U.S. military equipment and simplifies the arms exports procedures to Afghanistan. ⇒ Indian understanding of the problem is very different. ⇒ India thinks that western forces wants to withdraw from Afghanistan next year. ⇒ But Western forces by using Bilateral Security Agreement (BSA) wants to stay there with a total force of 8000 to 10000 for training and limited counterterrorism missions. ⇒ The BSA creates a positive military alliance between Afghan & NATO forces, necessary to protecting Afghan sovereignty and preventing undue influence from its neighbors. As most of the instability in Afghanistan is caused by the neighboring countries. ⇒ Without the BSA, Afghanistan may face economic isolation that would harm its fragile economy and roll back the progress it has made till now. (As USA will leave the country. Along with it all the European & even the Islamic countries will leave the countries & won’t do investment in Afghanistan which is the need of the hour). ⇒ The international community's continued involvement in Afghanistan will help promote Afghan democracy. WHAT ABOUT CURRENT STATUS OF BSA ? ⇒ The Loya Jirga (Tribal Assembly in Afghanistan) wants President Karzai to sign the BSA agreement. ⇒ But the president is not willing to sign the current form of BSA. ⇒ He is demanding new and implausible concessions from the USA & is putting a condition that even his successor after the Afghan Presendential Elections in April 2014, should sign the agreement perhaps hoping to maintain leverage over Washington in case the elections are as flawed and contested as those of 2009. ⇒ USA is not ready for such a large mission as being expected by the Afghan President. ⇒ In such a case, USA may withdraw its army altogether (called as zero option). ⇒ He said that Afghanistan would sign the agreement only if the conditions of the Afghan people were accepted and the first precondition is to bring peace and to end war in Afghanistan. ⇒ He is of the view that if the agreement if signed without the return of peace and with continuation of violence and bombings, means that the people of Afghanistan would continue to suffer every day from blasts, terrorist attacks and foreign invasions. ⇒ President Karzai added the fundamental precondition of Afghans for the agreement is bringing peace, security and stability to Afghanistan. If this is fulfilled, then the Afghan people would agree with signing the agreement with the United States. ⇒ India in order to protect its economic, political and strategic investments done in Afghanistan has to make sure that the NATO forces stay in Afghanistan via the approval of BSA agreement by Afghanistan. 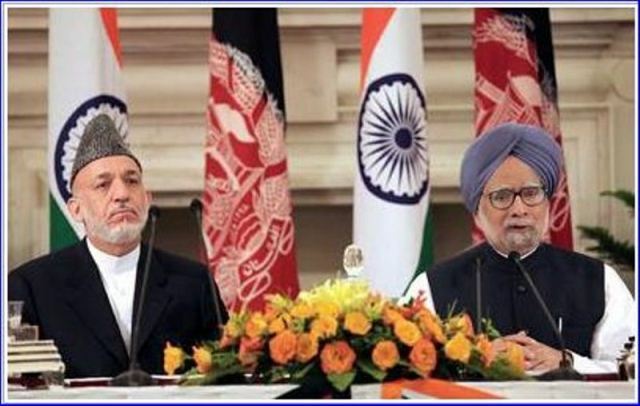 ⇒ USA expected India to influence Afghan President for signing the BSA agreement during his visit to India. But India didn’t. ⇒ But India is stuck with the Idea that BSA should reflect the concerns of India as well as Iran. (Iran has opposed the BSA) (Pakistan has been more supportive to BSA). ⇒ If New Delhi’s intention here is to reach out to Tehran in the aftermath of the U.S.-Iran nuclear deal, this is understandable. But this is a curious way to go about it. ⇒ New Delhi should be offering full-throated support for an agreement that is vital to its own regional interests. ⇒ India has supported Mr. Karzai as the true leader & his ideas. Mr. Karzai will continue his dangerous game of chicken with the U.S. India should be alarmed by this behaviour, not indulge it. ⇒ Though supporting Mr. Karzai is helping the short run, it is not going to help in the long run & will only pose risk to India’s national security. ⇒ It is good that India has remained active for military support to Afghanistan. ⇒ India is intensifying its valuable efforts to train Afghan army officers in Indian establishments, and will soon be training over 1,000 annually. ⇒ But Afghanistan is also demanding second-hand Indian arms which it was not able to procure from Western allies. India has not given such arms expect some helicopters & some minor equipment. Regarding other items India is salient. ⇒ India has been giving following false reasons for not giving second hand arms: i) It may fall into wrong hands ii) Permission is required for the transfer of Soviet-era arms iii) India don’t have surplus capacity iv) The decision is under review. ⇒ India publicly insists that it has confidence in Afghan security forces, but then intimates that their potential dissolution is a reason to avoid shoring them up. ⇒ Most of the weapons in the list of Afghan president are either being taken out from the Indian armed forces or India is producing itself. Its reluctance has more to do with chronic risk aversion, compounded by the next year’s looming Indian and Afghan elections. ⇒ New Delhi is also concerned about arming the Afghan National Security Forces (ANSF) as it is hard to tell if the new President who will be coming after 2014 elections in Afghanistan will be pro-India. ⇒ Also India is anxious that the provision of heavy weaponry might provoke Pakistan into intensifying support for anti-Indian groups in Afghanistan. ⇒ Though these concerns are true & legitimate, India should not leave all the efforts on Western countries & leave the threats to India unadressed. ⇒ India along with Western Countries & taking other concerned countries into confidence should focus on Security Sector of post-2014 Afghanistan & should form a multinational joint working group to assess the points of vulnerability for Afghan forces. ⇒ A good starting point would be for India to send trainers to the Britishestablished Afghanistan National Army Officers’ Academy (ANAOA). ⇒ India has played an important and constructive role in post-2001 Afghanistan. ⇒ India should strongly support the BSA & make Afghanistan sign this agreement. In India, which of the following have the highest share in the disbursement of credit to agriculture and allied activities ?